LEAH tutor and experienced life coach Judith Jewell offered practical advice on how to call time on clutter at a bespoke event in Kingston on 12 September 2017. 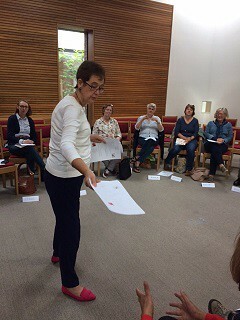 The De-Clutter Your Life workshop was the first of what trustees Helen Henn and Karen Steinnes hope will be a series of one-off events offered exclusively to LEAH tutors. Trustees know that tutors are the lifeblood of the organisation. “It’s a small way of trying to demonstrate how much we appreciate them,” says Karen.